VATICAN CITY (CNS) — Following up on the Synod of Bishops on the family, a synod in 2018 will focus on accompanying young people on the path of faith and in discerning their vocations, the Vatican said. Pope Francis chose “Young people, faith and vocational discernment” as the theme for the 15th general assembly of the Synod of Bishops, which will be held in October 2018, the Vatican announced Oct. 6. The theme of young people and their path of discernment is a continuation of “what emerged from the recent” synod on the family and the pope’s apostolic exhortation “Amoris Laetitia” on family life, a Vatican statement said. 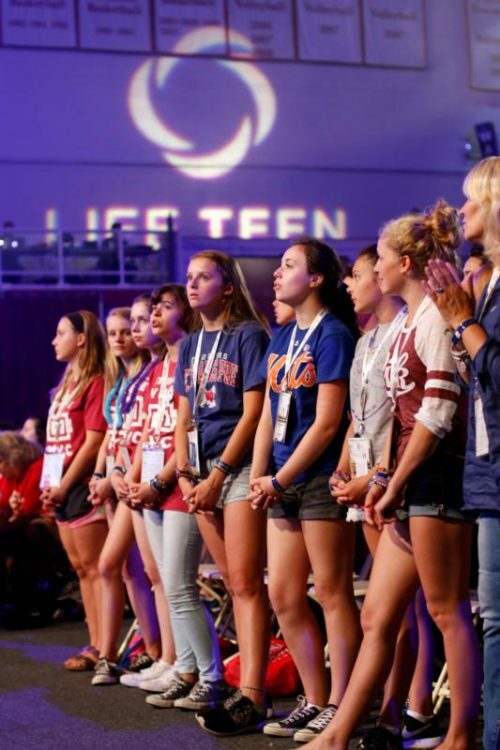 The synod will look at the best ways to accompany young people on their path toward maturity and providing a process of discernment so “they may discover their life plan and fulfill it with joy, opening themselves to an encounter with God and with men and women, and actively participating in the building of the church and society,” the Vatican said. Greg Burke, Vatican spokesman, told journalists Oct. 6 that the synod will focus on the transmission of faith and helping young people make their “spiritual decision” to choose marriage or religious life. According to the statement, the pope chose the theme after consulting the bishops’ conferences, the Eastern Catholic churches and the men’s Union of Superiors General. He also consulted with bishops and cardinals who took part in the previous synod of bishops.